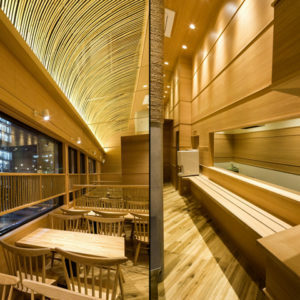 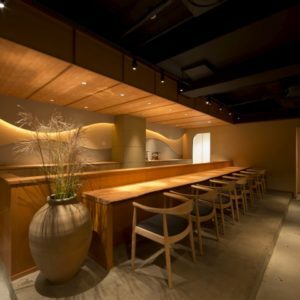 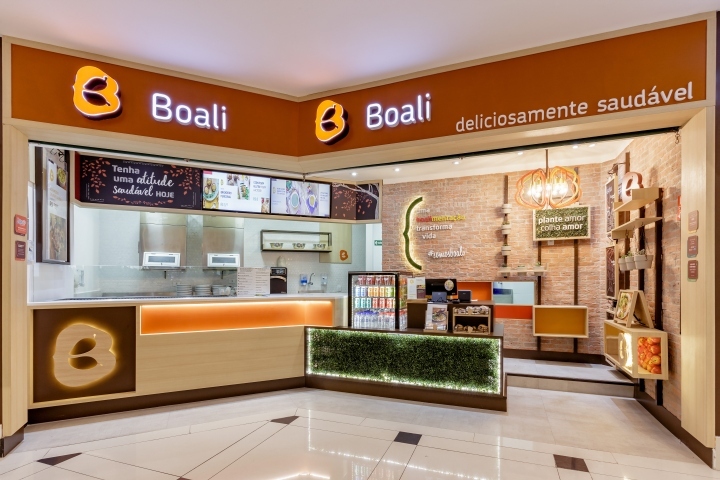 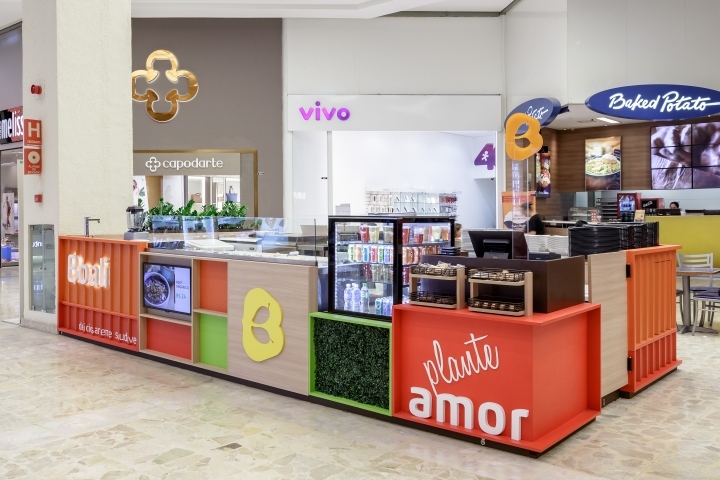 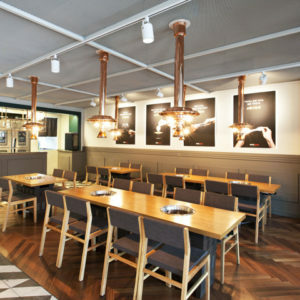 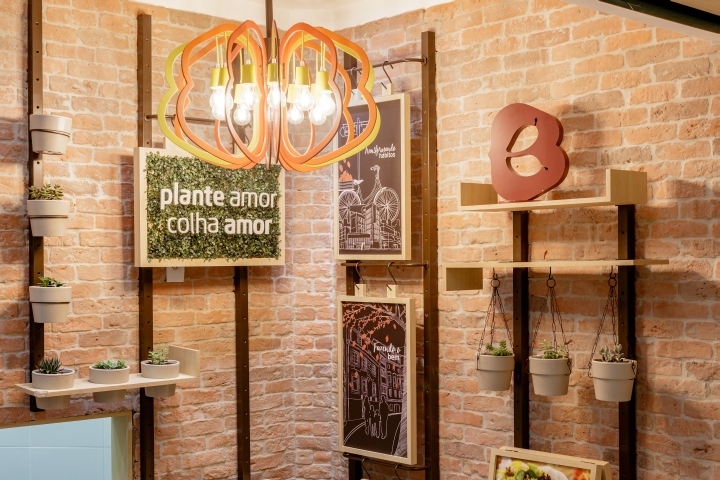 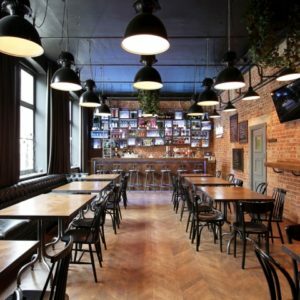 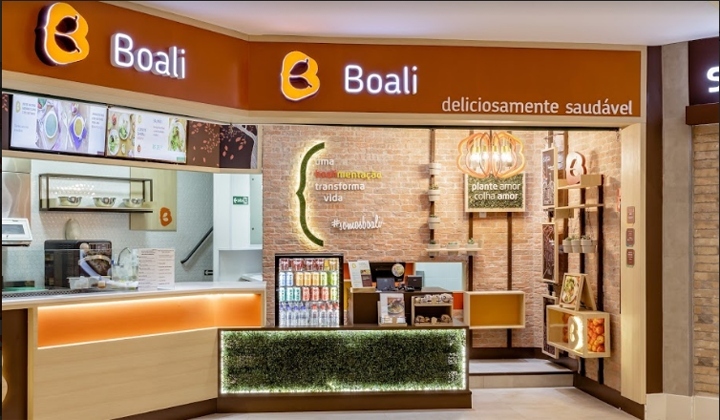 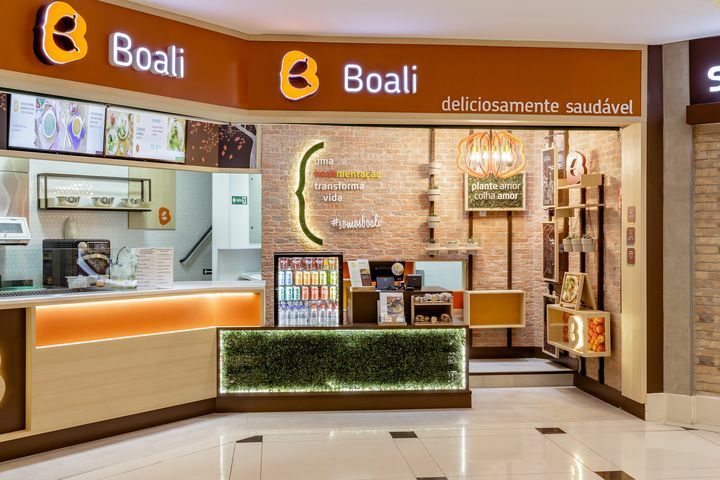 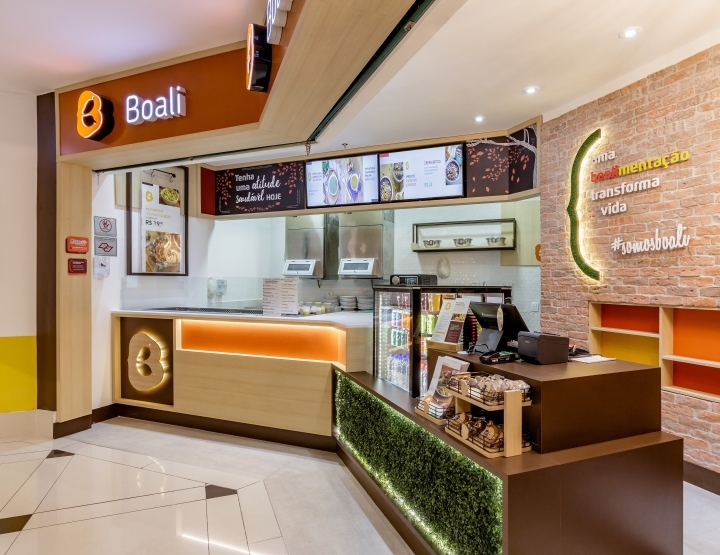 The concept for Boali’s new project reflects the lifestyle brand, where a friendly and relaxed atmosphere, a light and vibrant environment, nature, well-being and healthy food come together with perfect synergy. 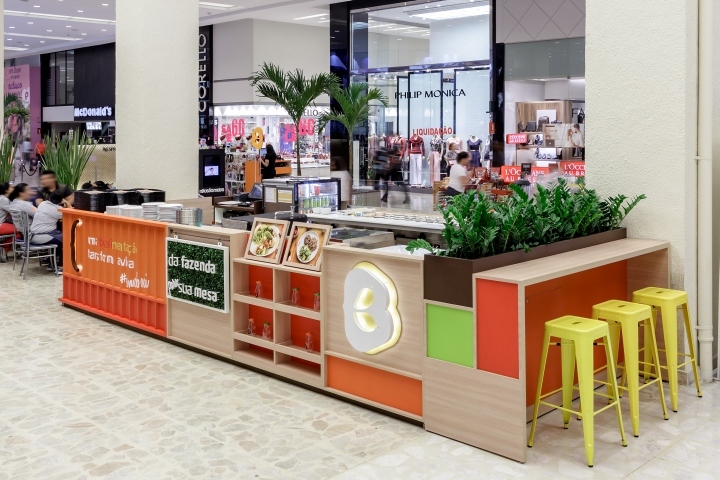 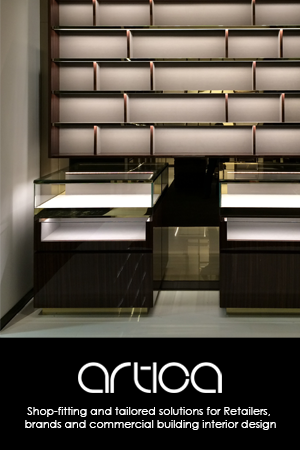 With a palette of colors inspired by the shades of a sunset and added to the greens and browns of the natural world, the space communicates the positioning of the brand, which is to transform habits and to do good. 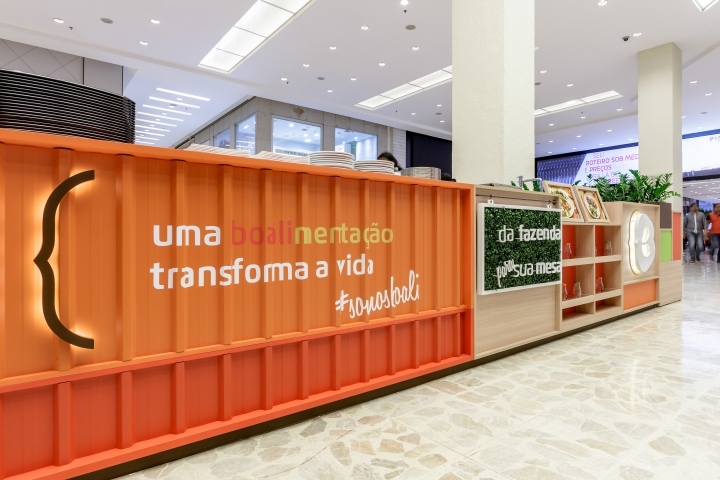 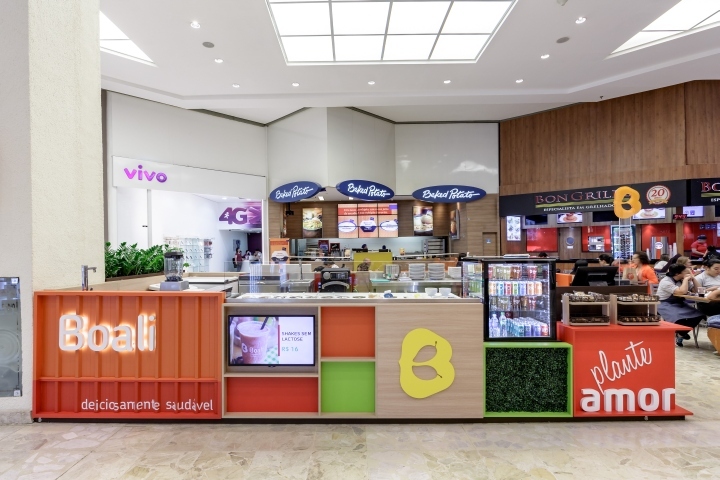 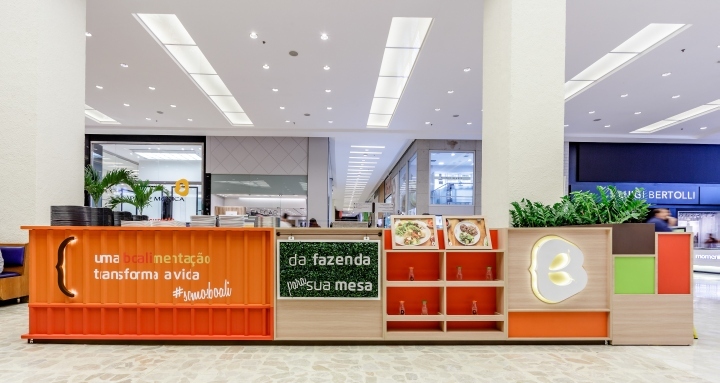 The color orange was chosen to be the protagonist of the biggest health food chain in the country, used for the portico entrance on account of the vibrance, happiness and warmth with which the color highlights the façade against its surroundings. 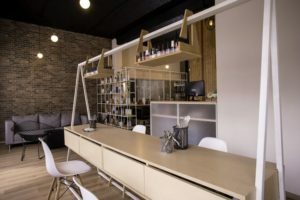 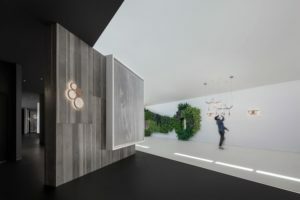 The key point of the project is the balcony, an important connection between the client and the chain, where brand, colors and materials mix and become integrated. 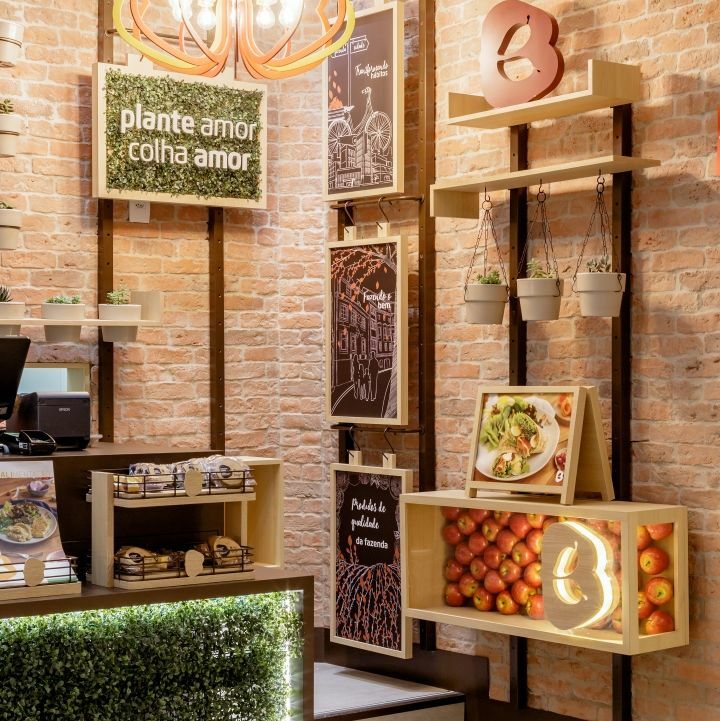 The symbol of the brand was another essential element used in the environment, displaying the origin of its name and identity, but also its belief that “eating healthy” transforms people’s lives and promotes the common good.